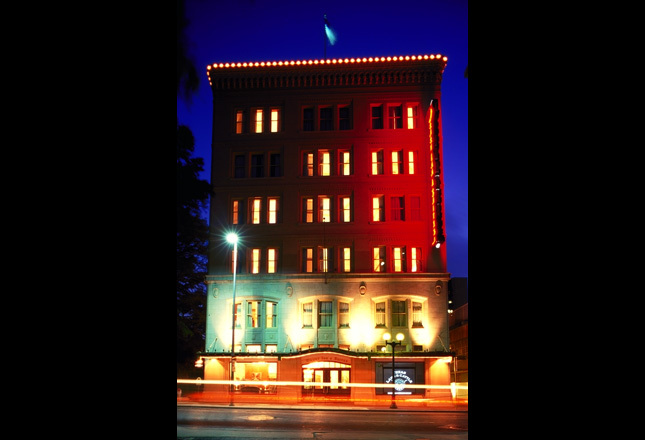 Drury Inn & Suites Riverwalk | Robey Architecture, Inc. 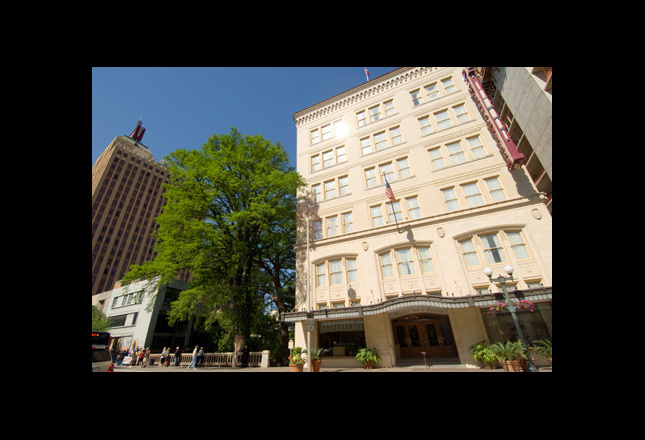 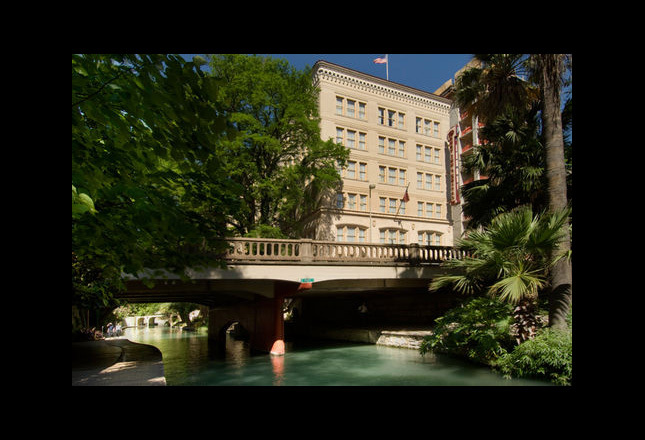 The 150-room Drury Inn and Suites River Walk is an adaptive reuse of the former San Antonio City Public Service headquarters. 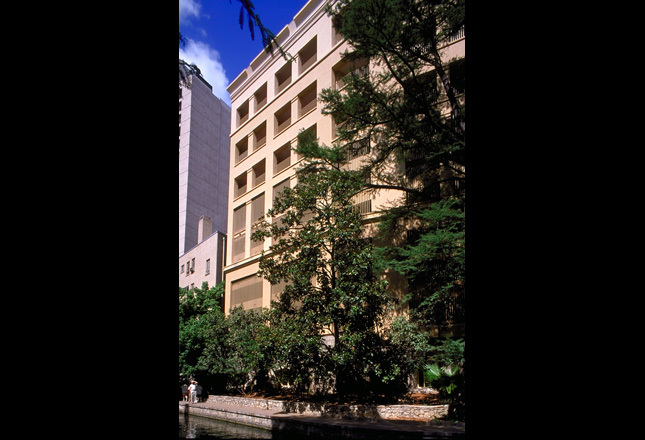 Primary design emphasis involved conversion of the basement level into lease space opening directly onto the River Walk; restoration of missing and damaged terra cotta at the street facades as well as a pressed metal and glass canopy at the front entrance; adaptive reuse of street level columnar hall into new hotel lobby; the roof top addition; and finally, the recladding of the exposed concrete parking garage. 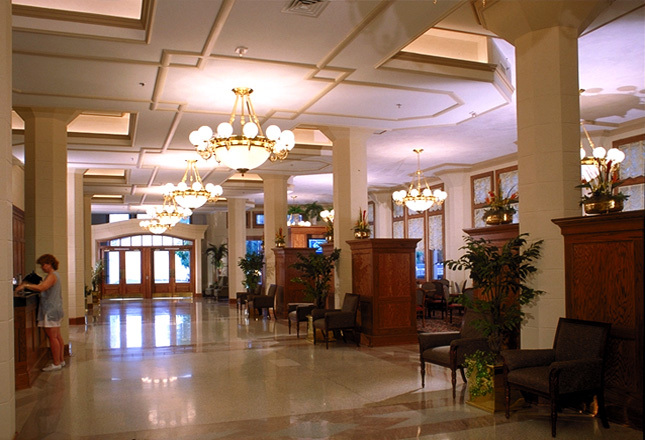 In the lobby, the original terrazzo and marble in-lay floor was uncovered and repaired as were the majority of original plastered columns.